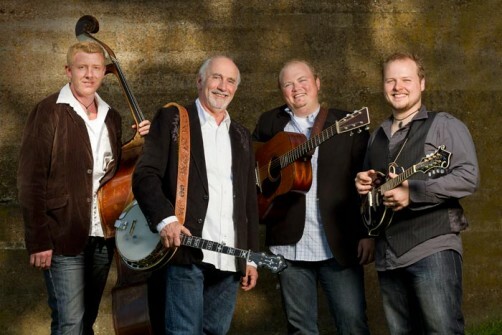 SPECIAL Consensus is a superb bluegrass outfit in a classic vein but with more than enough modern sensibilities to attract every ear in this now pleasantly fractionating genre. The vocals are spotless, the playing as shiny as a newly minted penny, and music like this is the reason people come to love bluegrass. Special Consensus approaches this hallowed American musical form with boundless energy and an aesthetic reverence that tickles the ribs, tugs at the heart, and puts a restless two-step in boots and bare feet. Letterkenny Trad Week is organised by Regional Cultural Centre Letterkenny and An Grianán Theatre, in association with Earagail Arts Festival, Donegal Music Education Partnership and Music Network. The media partner is the Donegal News and the accommodation partner is Station House Hotel. All concerts start at 8pm and tickets can be booked at An Grianán Theatre on 00353 74 9120777. Early Bird Season Ticket, Six Concerts, €75. Up to December 21st.